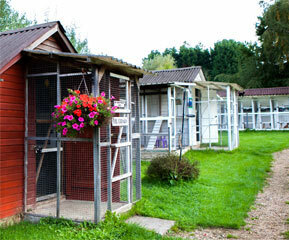 We have 5 cattery chalets. 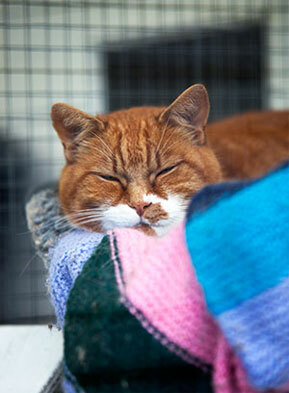 Three of these accommodate up to 12 single cats in their own individual two floor pens. The other 2 chalets contain larger pens for cats from the same family to share, if they prefer to stay together. Every pen has an individual outside run with a sunning shelf, scratch post and chair. Beds and bedding are provided but if our guests would like to bring their own bed or blanket this is always welcomed as having familiar belongings often helps them to settle. Cats have 24 hour access to the outside runs in warm weather and daytime access in the winter months; all chalets are heated in cold weather. 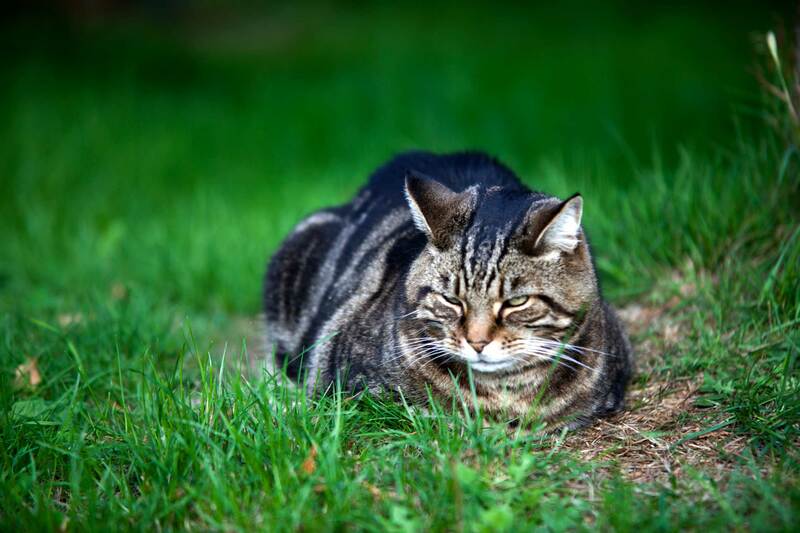 We provide tinned and dried food which is fed to the cats twice daily, unless you have a special request. On that note we can administer normal medicines but please contact us to discuss your cat’s particular requirements. We do not charge extra for this service. Sorry but we cannot accept diabetic cats. We have a daily cleaning regime ensuring all sleeping quarters and litter trays are kept clean. This also gives us an opportunity to interact with your cat and build a relationship. Our busiest times are during school holidays so we recommend early booking.